Welcome! This page shows multiple opportunities for students who are looking for a job, internship, business course, or other career-related events. Our Company: Royal HaskoningDHV is a globally leading service provider in the field of Maritime Services and Developments. We have a strong reputation for designing and managing port developments, shipyards, dry docks, port terminals and other maritime structures. We work on many high-profile projects on behalf of public and private developers at locations across the world, making us the first port of call for maritime consultancy. One of our expertises is understanding the behaviour of moored ships in ports and coastal waters. We study the behaviour of a moored ship subjected to wind, waves, current and/or passing vessels using dedicated software. We call this a Dynamic Mooring Analysis (DMA in short). A DMA involves the study of mooring configurations and locations and the possibilities to improve the mooring to enable higher throughputs in ports and/or ensure safer mooring. With the ever-growing ship sizes, busier ports and an increasing number of berths exposed to waves a DMA has become more and more relevant in port engineering. 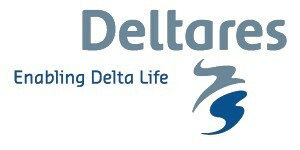 contribute to new developments in the field of DMA services. 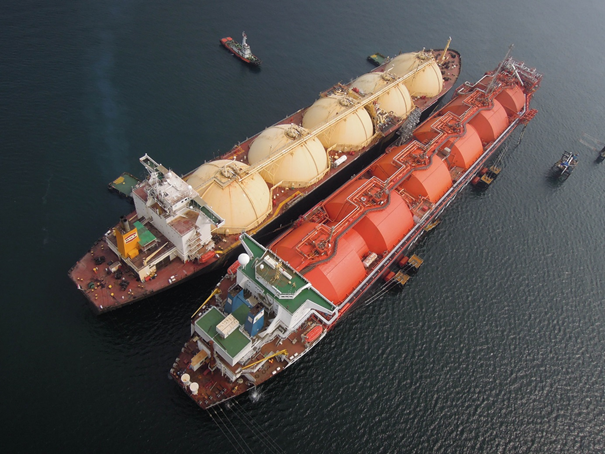 The types of projects we do involve a wide range of ship sizes and types, locations (exposed, sheltered, in-port) and Clients (private, public, semi-public). The goal of these DMA studies is often to determine expected downtime or maximum forces in mooring arrangements. You are a maritime engineer (MSc in Maritime Technology, 0-5 years working experience) with a passion for ship motions and port developments. You are looking to improve our way of working through programming, for various clients with exciting and challenging projects in an international environment. What we offer: We offer you the opportunity to become part of a group of passionate highly qualified people working together to realise port developments around the world. Our work is centred around the skills of our staff, getting the best out of the whole team. We offer flexibility in working hours, and can offer an attractive remuneration package. 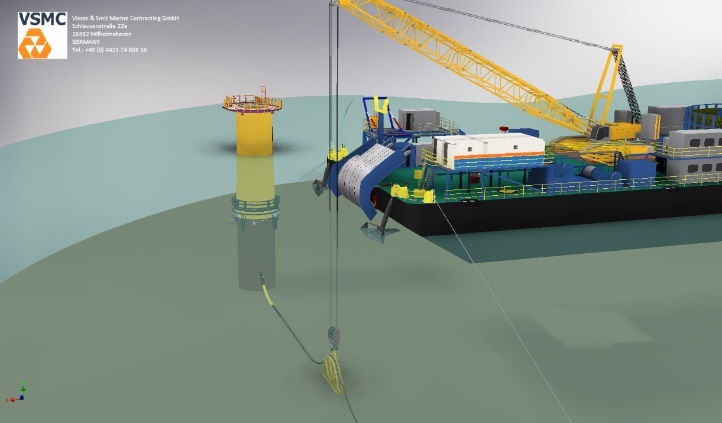 Boskalis Subsea Cables & Flexibles, specialises in subsea power cable installation for offshore wind farms, Balance of Plant maintenance for the renewables market, and umbilical/flowline installation for the oil & gas markets and installation of interconnectors. These submarine power cables will be installed using advanced Cable Lay Vessels (CLVs). Weather conditions limits have to be calculated for the cable installation, since the cables are a very delicate product. Previous in-house thesis assignment proved a strong relation for normal cable lay, indicated in the figure, between the vessels chute velocity and cable axial compression, which is one of the failure modes. Multiple boundary conditions determine the installability of the submarine power cable. The purpose of this thesis assignment is to analyse the relation between operational limitations to motion behaviour of either the vessel or lifting arrangement the different boundary conditions, such as water depth, vessel stand-of distance, cable properties, etc. 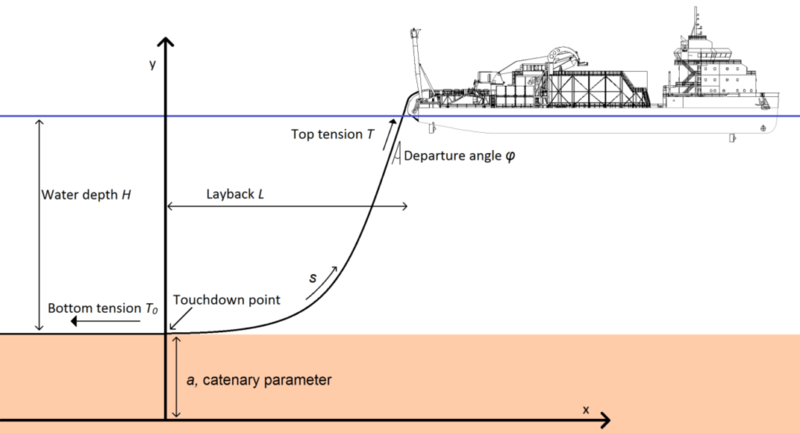 Besides, a practical implementation of motion behaviour limitation offshore on the CLVs is part of the assignment, which is an unique chance to learn both the technical and practical part of the offshore industry. A student offshore or marine engineering, with strong interest in hydrodynamic calculations and usage of the advanced modelling software such as Orcaflex, Ansys AQWA and the programming language Python. A motivated and enthusiastic person who is eager to develop his/her skills. Good knowledge of the English language, both written and spoken. A good analytical thinker who is creative, proactive and likes to work in a team. Preferred starting date is the 1st of September 2018. Start at a later time is negotiable. Boskalis Subsea Cables & Flexibles offers an attractive financial compensation during graduation thesis. Boskalis Subsea Cables & Flexibles is located at the Boskalis head office in Papendrecht which has a shuttle bus going to Baanhoek train station in Sliedrecht. Royal IHC offers you as Junior Central Project Planner a challenging full-time job within a successful and dynamic company with a reputation for being a worldwide leader in technological innovation. In addition, we offer you a competitive salary, professional development opportunities, travel allowance, profit share, pension allowance, training courses and at least 40 days of leave per year. As Junior Central Project Planner, you will look after the project schedule in all its phases (from tender to handover) within the Central Planning department of Royal IHC. You will support the Project Managers in preparing this schedule and monitoring the progress. Depending on the size of the projects, you may also be responsible for more than one project at a time. In this, you will act as the focal point between members of the project management team and operations. In addition, you will always be looking three steps ahead, and recognise sticking points, risks and opportunities in ample time. You will also have the capacity to act effectively at different levels in the planning and maintain a permanent helicopter view. which may result in a decrease of the salt wedge intrusion. keeping an overview and working towards the overall project aim. student intern. Preferred start is in April 2018, but this is open for discussion. Are you creative, do you have innovative ideas and are you interested in a job in which you are challenged every day? Then read what van Oord can offer you! 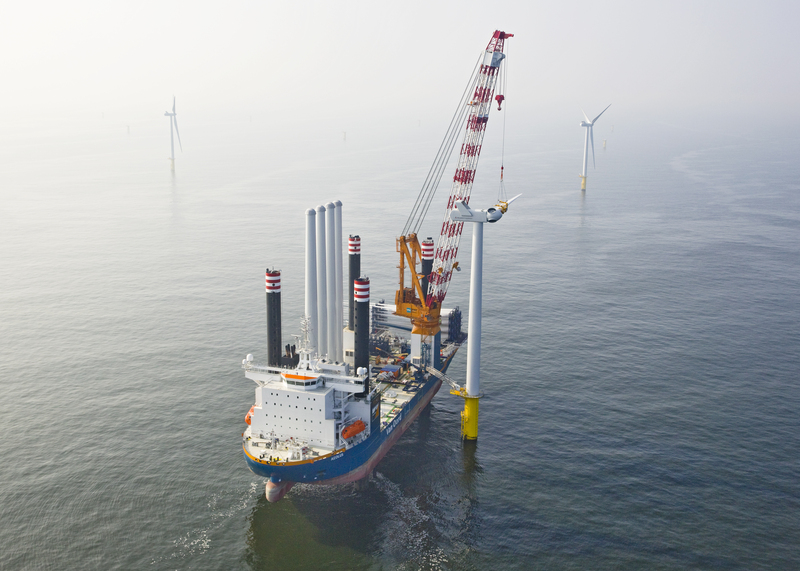 Van Oord is immediately looking for an intern at one of our Offshore Wind projects. In the role of Intern Project Engineer, you are involved in an offshore wind project from design to installation. You work alternately from our office in Gorinchem or at the project location. Oceans of Energy is a startup company, we develop floating systems for renewable energy at sea. Our goal is to allow all islands and all populations near the sea to generate clean energy using their ocean space rather than their scarce land. The engineers, both staff, and interns, play a key role in the development of our novel floating renewable energy platforms. Maritime engineering, structural engineering, mechanical solutions, determining the mooring loads of floating structures, analyzing the hydrodynamic behavior building prototypes and installing them at sea is our process of bringing our design from concept to reality. For the challenges, requirements and the application procedure, check out https://oceansofenergy.blue/engineering-internships-2018/ . We are passionate about creating new maritime technology. We believe that an innovation is most successful when lead by a small organization which is 100% focused on making it a success, while we cooperate actively with research institutes and offshore industry. The Junior Hydrodynamics & Moorings Engineer plays a key role in the development of our novel floating renewable energy platforms by determining the mooring loads of floating structures, analyzing the hydrodynamic behavior and bringing our design from concept to reality. For the responsibilities, qualifications & qualities and the application procedure, check out https://oceansofenergy.blue/junior-hydrodynamics-engineer/. The Structural/Mechanical Engineer plays a key role in the development of our novel floating renewable energy platforms. For the responsibilities, qualifications & qualities and the application procedure, check out https://oceansofenergy.blue/structural-mechanical-engineer/.